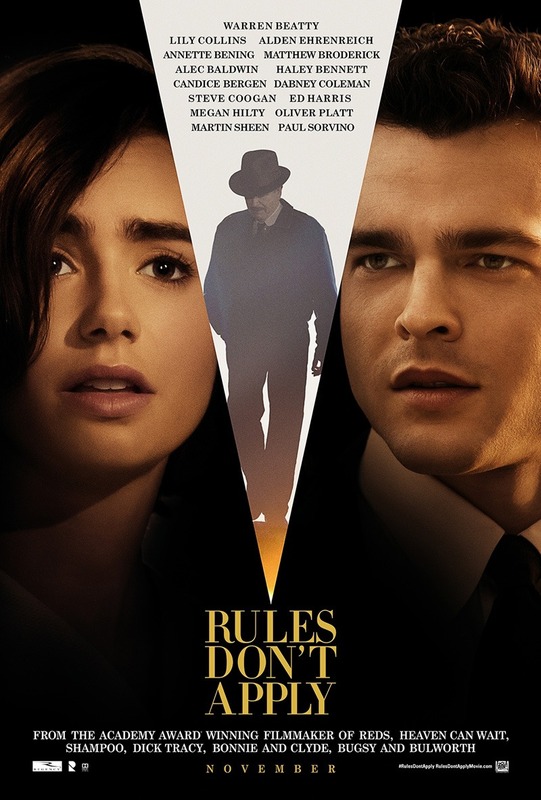 Rules Don't Apply DVD and Blu-ray release date was set for February 28, 2017 and available on Digital HD from Amazon Video and iTunes on February 14, 2017. Marla is a beauty queen from a quaint town. She is also a devout Baptist, who has signed a deal with Howard Hughes. When she lands in Los Angeles, she is greeted by her assigned driver who is also newly hired and has strong religious beliefs. Their attraction to each other is undeniable, and it tests their religious beliefs and goes against Hughes' strict rule of no employee interaction on an intimate level. Hughes' wacky world further impacts the two of them in unimaginable ways and forever changes their lives.